June 2016 - Devocean divers "in the deep we connect"
Divers walk down the beach towards the boat as strangers. The boat crew and dive guides carry the gear and air cylinders. Two newly certified divers seem a little nervous about their first fun dive while a life-long diver exudes confidence and marches towards the boat. Others seem to be each in their own mind focusing on the dive ahead. The gear boxes, marked with each diver’s name, are placed under the bench and the respective diver sits above them. The engine roars to life and the anchor is lifted. The Divemaster gives a boat briefing, showing the location of the coffee, fresh water basin, and emergency equipment. He lightens the mood by pointing out the toilet as well as the kitchen, asking divers not confuse them! A polite chuckle from the divers breaks the ice. The outrigger pulls away from its mooring and the group heads towards the dive site. As the sun breaks through the morning clouds, a diver goes to the front of the boat to catch a few rays. Another diver follows suit and strikes up a conversation about travel in the Philippines. Two other divers make their way to the coffee station and begin to debate the best recipe for instant coffee. While one diver believes the magic is in the amount of sugar, the other jokes that it’s really in the way you stir. In the end, it’s the local guide’s mixture that receives rave reviews and he is declared the winner. Their laughter can be heard well above the noise of the engine. As the outrigger approaches the dive site, the Divemaster instructs divers to start gearing up. A girl travelling on her own breaks the renewed tension by joking about how much she hates putting on her wetsuit. While it keeps her warm in the water, it always seems so tight above the surface. Divers nod and laugh in hearty agreement. The buddy check between divers warms the air even more. No longer strangers, they are now in teams of two, ready to support one another below the surface. With the Divemaster’s exciting briefing about where they will go and what they might see, any lingering nerves dissipate. Diver after diver takes a giant stride into the blue. The dive goes exactly as planned and as each diver climbs up the ladder, the volume of noise on the boat ascends as well. “Did you have a good dive?” the Divemaster asks. “Yes!” they exclaim, almost in unison. “Did you see that Blue-ringed Octopus?” a diver asks another. “Yep, it was so cool!” she responds. “Wow, those two Flamboyant Cuttlefish were really something! Are they always together?” a diver asks the Divemaster. “Yes, most often,” he replies. As they remove their equipment, divers compare how many Frog Fish they each saw; one saw three while others spotted four. Air cylinders are secured, the outrigger is untied from the mooring line, and the engine roars back to life. The boat heads back to the dive shop now full of excitement and laughter. It’s as though they’ve known each other for years. As they disembark the boat, divers continue to compare notes. While the dive guides and crew unload the boat, divers sit at the picnic tables outside the Devocean shop and fill in their log books. “What was that funny-looking fish fluttering over the sand?” the newly certified divers ask the group. The veteran diver explains that it was a “Cuttlefish”. The veteran diver follows up explaining that the pygme seahorse they saw was rare and even he had only seen it once before. Two divers who brought Go-Pros with them show their fellow divers some of the photos and video footage they got of two Boxer Shrimp that appear to be mating. Laughter envelops the group. As they comb through the acquatic life encyclopedias, they share diving stories about where they’ve been or where they are going. Before they depart Devocean, they trade contact information and add one another to Facebook. Not only did the divers make lasting memories below the surface, but they also found life-long friends above. You’ll have to forgive me for the delay in blogging but I’ve just come up for air after my first two weeks of being a Divemaster trainee (DMT). Overall, it’s been fun and exciting but mostly it’s been like breathing from a free-flowing regulator; it’s certainly possible but there is so much air that you miss as it blows past you. I’m trying to take in as much as possible but there is so much to learn! No longer a fun diver, I’ve been learning how the shop operates, where to find gear, when to empty the wash basins, and generally, finding my rhythm amid the tides of the Devocean shop. My first major task was to learn the theory and science behind diving. It’s critical that you understand the relationship between depth, pressure, volume and density. Of course you learn much of the basics during your Open Water course, Emergency First Response and Rescue course but the Divemaster manual is a deep dive in this area. I quickly remember why it was that I went into communications; science and math were never my forte. This experience has been like a return to high school science class; thankfully with less acne and awkward dates. With the help of my instructor Steff, who has 10 years of dive experience, I learn the theory and pass the exam easily. 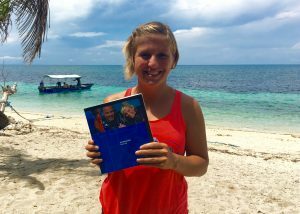 The manual also covers the role of a Divemaster, how to supervise students, dive equipment, and risk management. One of the most unexpected things I’ve learned is that much of the role of a Divemaster is to assist an Instructor, not just to guide fun divers. While assisting an instructor is not an overly common practice in most shops, learning how to assist certainly sets you up well to become an instructor. In just two weeks, I’ve been fortunate to assist various instructors teaching a number of different courses including a Discover Scuba Diving, Re-activate, Adventure Deep Dive, Advanced Open Water and a Rescue course. One of the best ways to learn how to be a good Divemaster is to watch, listen and practice. 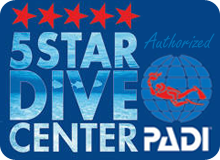 While everyone operates according to PADI standards, Divemasters and Instructors demonstrate skills, guide dives and teach students with slight differences in their approach. By watching them and asking plenty of questions, I’ve been learning different techniques and blending them together to form my own method. Without a doubt, the best part of the last few weeks has been the time I’ve spent in the water shadowing other dive guides. Now as a DMT, I’m paying greater attention to their dive briefings and taking careful notes of their site routing. The experience has been like clearing a foggy mask. I now see the task of guiding more clearly. I also love meeting new divers, sharing experiences, and generally, making sure they have a great experience. Whether it’s a diver who needs a fin strap tightened or one who needs a bit of encouragement to descend, I’ve enjoyed being an extra set of eyes and hands above and below the water. Just today, I noticed one diver who was overweighed; his body upright and working hard to be neutrally buoyant. I was able to correct the weight and he was perfectly horizontal for the second dive. He thanked me noting that his dives will be much more enjoyable in the future. A great reward for me! Two weeks into the Divemaster course, the learning curve has been steep and sometimes, there’s been a strong current. But if this is a dive, there is plenty of beautiful coral and lots of rare aquatic life. Put simply, it’s reinvigorating to learn so much new information about something you love to do. On that note, it’s probably time that I get back to work! 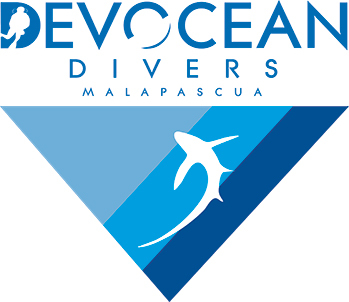 MALAPASCUA ISLAND – June 12, 2016 – Devocean Divers Malapascua today announced that it has received a TripAdvisor® Certificate of Excellence. 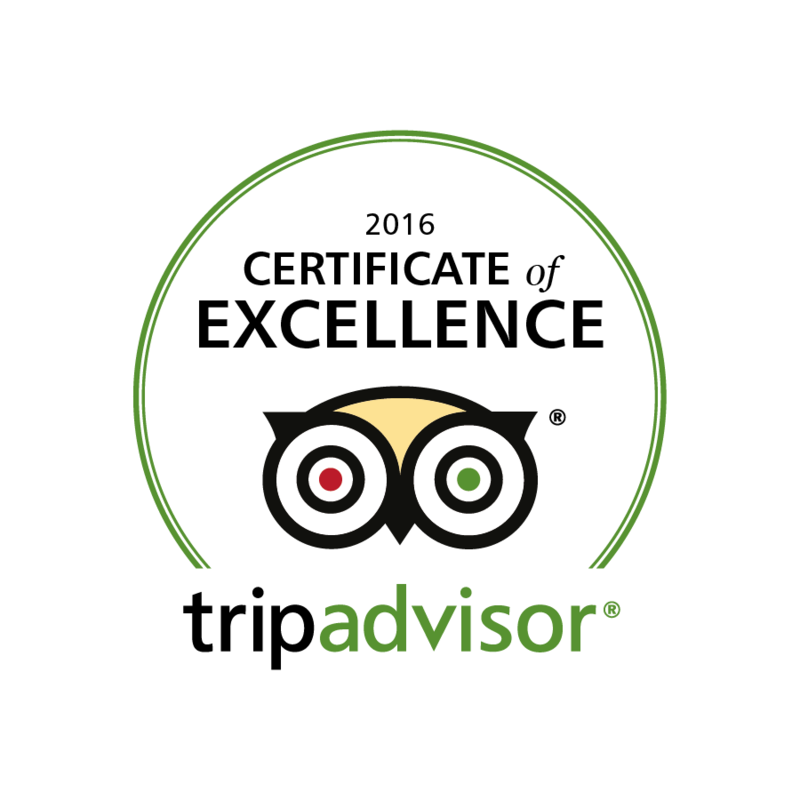 The achievement celebrates businesses that have earned great traveller reviews on TripAdvisor over the past year. Certificate of Excellence recipients include businesses located all over the world that have continually delivered a quality customer experience. View Devocean Divers rating on TripAdvisor here. 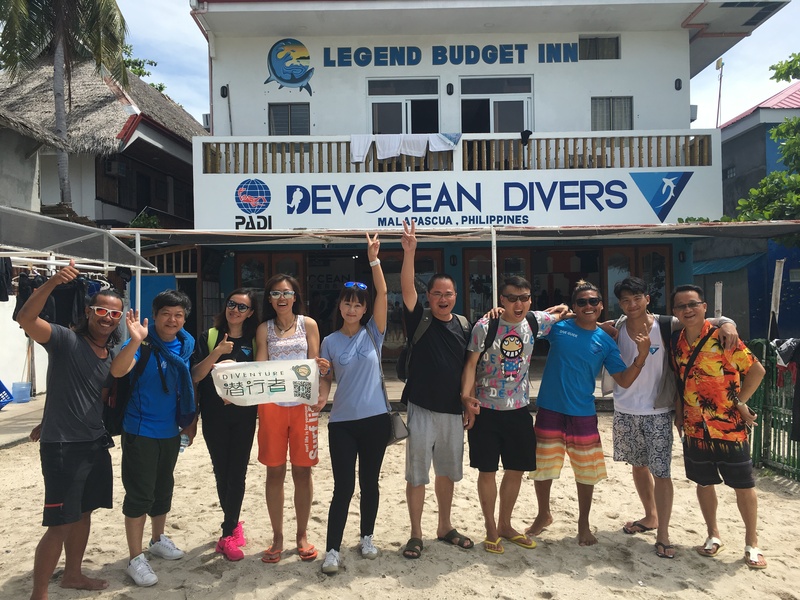 Today, Devocean Divers bid farewell to a happy group of 10 divers from China. Over the course of 3 days, they did between 5 and 10 dives each and left with huge smiles on their faces. 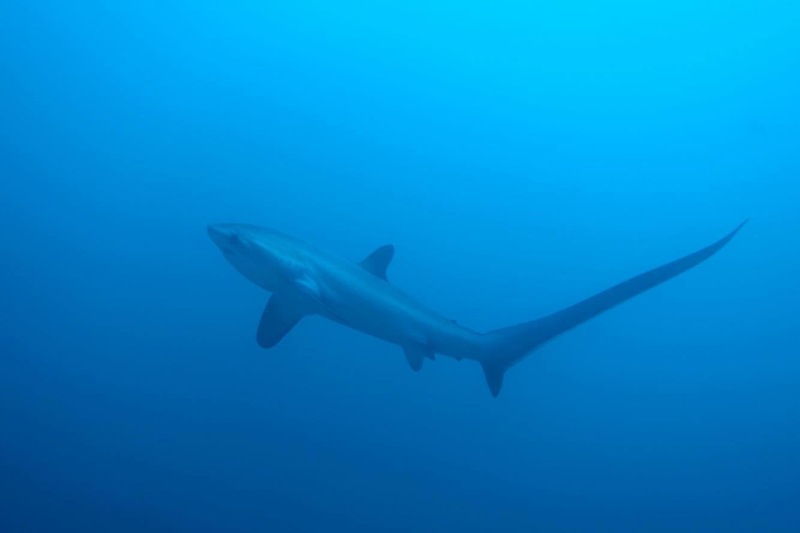 These divers came to Malapascua Island for the same reason so many others do – to see the majestic Thresher Sharks. And we can’t blame them! 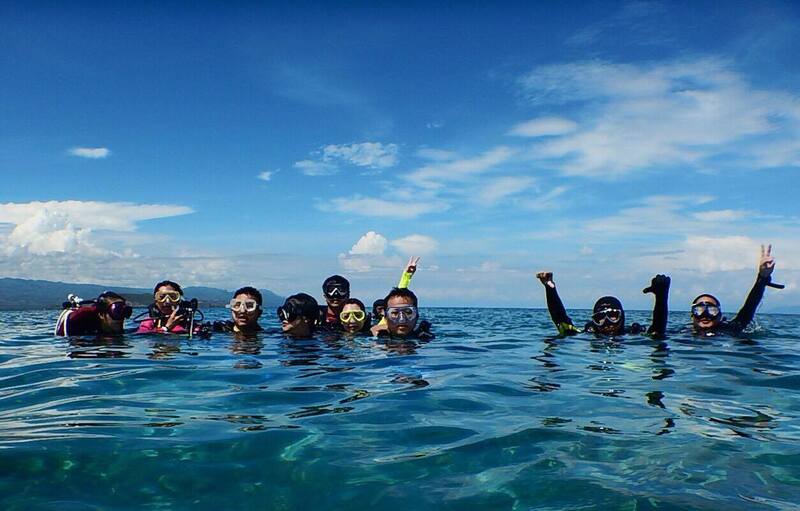 After their first dive, they were completely charged up, full of laughter and excitement. If the Threshers were not cool enough, they also saw an Eagle Ray! Along with many memories, they also took home many photos of the Threshers (one they snapped, below)! Many Chinese divers want to visit places like Malapascua Island but without knowing enough English, it can be challenging to coordinate transportation and accommodations in a country like the Philippines. That’s where Devocean Divers’ partnership with Chinese-based Diventure came in. Together, with the help of Team Leader Abby, they were able to bring the group to Malapascua Island for a fantastic dive adventure. Abby said that in addition to Devocean Divers efforts below sea level, they appreciated that Devocean helped organize transportation and made sure that everything ran smoothly while they were on the island too. 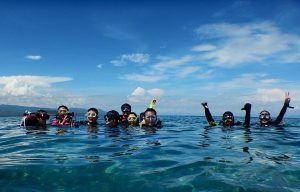 In addition to helping the group travel to Malapascua Island, Abby said the group enjoyed diving with Devocean Divers because the local guides know the sites very well and always showed them the best aquatic life. This group saw it all including, Thorny Seashorses, Frog Fish, Whitetip Sharks and of course the Threshers at sites such as Monad Shoal, Gato Island, Kalanggaman Island, Chocolate Island and Deep Rock. A few of them also took in a sunset dive at Lighthouse reef. Above the water, the group was memorized by Malapascua’s beauty and laid-back vibe – a stark contrast to the Chinese cities where they live. Over the next month, Devocean Divers will be training Meagan, a former Canadian government communications director turned year-long backpacker, to be a certified PADI Divemaster. Under our expert instructors, she’ll learn the theory, water skills and practical application it takes to lead safe, professional, and fun dives. While she completes the program, she’ll blog about her experience. Here’s her first post. Enjoy! Two weeks ago, I arrived on Malapascua Island to find white sandy beaches, turquoise waters, and friendly Filipinos everywhere I turned. After searching out the highest rated dive shops on Trip Advisor, I decided to go with Devocean Divers. Not only were they rated five star but they also had great prices and I was greeted with a warm smile and welcoming handshake by the Dutch owner himself, Marcus. As a recently certified Advanced Open Water Diver, I merely set out to get a few more dives under my ‘weight’ belt. Little did I know, Malapascua had much more in store for me. My first dive was at Chocolate Island where the aquatic life is just as sweet as the dive site name. Guided by Divemaster and local expert Rickniel, we immediately came upon a huge black Frog Fish. Next he found us a Thorny Seahorse, a Cuttlefish, a Box Fish…and the list goes on. I worried about getting a sore neck from constantly having to react to the “ting, ting” of Rickniel’s pointer. This was a great first dive that wet my palette for the main event – Thresher Sharks. The next morning, I awoke at 4:30am and set out for Monad Shoal with Devocean to see these majestic sharks with their long tail and big eyes. We had at least eight sightings and even saw two at once. The fun wouldn’t stop there, however. Over the next few days, we saw an octopus during a night dive at Dakit Dakit, the adorable Harlequin Shrimp at Gato Island, and even a Hairy Frog Fish back at Chocolate Island. Malapascua was delivering in spades. I quickly realized that a few fun dives would not quench my thirst for all that Malapascua had to offer so upon returning to the dive shop, I signed up for my next set of courses – Emergency First Response Provider and the Rescue Diver course. Over the course of a week, German Instructor Steff led me through the rigours including performing CPR and rescuing a non responsive diver from the sea floor. While challenging, these were undoubtedly the most rewarding dive courses. Although I hope I never need to employ these skills, I am now a much more confident and aware diver. With these courses behind me, my next thought was “What now?” I contemplated continuing my travels around the Philippines but I just couldn’t bring myself to pack my bag. Instead, I found a place to stay for a month and sent a request to Cebu City for an extension of my tourist Visa. Today, I opened the crisp new cover of a Divemaster Manual. For the next month, I’ll call Malapascua home. I’m excited about the steep learning curve ahead but I know I’m in good hands at Devocean. I hope you’ll come along on the journey with me! Just recently Devocean Divers Malapascua, hosted the visit of a journalist from thescubanews.com and her dive-professional friends. Beforehand they had already expressed that the focus of the visit was to dive with the Thresher of Malapascua Island on the cleaning stations of Monad Shoal. But it didn’t stop there! after realizing the diversity of the macro life on offer here in Malapascua they went on and in just a few days time saw some of the most spectacular dive sites around Malapascua Island and it’s critters.